Identification of a specific type of alopecia or hair loss is essential to get rid of hair loss issues. But identification of it is a challenging task to the medial experts. Among different techniques, Digital Photo-Trichogram is one of the popular non-invasive medical procedures for diagnosis of alopecia. In the present work we propose a novel system which is able to measure automatically the growth of hair without manual interaction and experts’ opinion. The developed system can estimate hair fall related issues with the help of parameters such as unit area density, approximate average height and width of hair, determination of vellus or terminal hair automatically from the picture of shaved region of alopecia effected area. The system is tested with the samples collected from Calcutta School of Tropical Medicine, Kolkata and achieve satisfactory results. 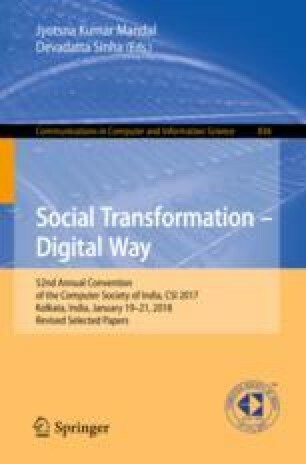 Authors are thankful to the “Center for Microprocessor Application for Training Education and Research” of Computer Science & Engineering Department, Jadavpur University, for providing infrastructure facilities during progress of the work. Authors are also thankful to Dermatology department, Calcutta School of Tropical Medicine for providing useful data.